Do you know who are you talking to? When you write a cover letter, send a resume, introduce yourself, explain what you do, or ask for advice, do you tailor your message based on who you are talking to? Job search 1.0 is to tailor your message to highlight the best of you. But be confident that there are many great things about you and not all of them are as relevant or eye-catching to everyone you encounter. Sometimes it’s obvious: if you are speaking to someone from your alma mater, mention your education; if you are applying for a posted job write to get the hiring manager’s attention for that specific industry, function, and company. But in your everyday job search, your reach is much more expansive. You are talking to people from a variety of sectors and at a variety of levels. Some are peers, some are mentors, some are directly in a position to hire you. If you are consulting while you are jobseeking, some contacts are potential clients or prospective employers or both. I am coaching someone who has a business and is still deciding if he wants to attract investors, joint venture partners, or employers (i.e., go back to the traditional role of employee). He himself doesn’t change but his message needs to adapt based on what an investor, a joint venture partner or an employer needs to hear, and he needs to do so fluidly in a way that doesn’t contradict his other aspirations. He must position differently to each audience. Positioning for multiple audiences is tricky stuff – this is job search 2.0. You must know yourself AND the prospect AND what you hope to get as you combine the two. This requires a high degree of self-awareness, mastery of job search strategy and marketing, and finally the ability to be specific to the audience in front of you while remaining flexible to the broader audience of your total search. But once you get to this higher level of the positioned job search, you will see there is no better way to search. It may seem counterintuitive at first, but being able to position yourself very specifically will enable you to appeal more broadly. When your eyes are fixed on one target, you’re more attractive to that target and become more attractive to everyone else. You also learn how to focus more effectively on other targets and can repeat the process as needed. So stop appealing to the masses and learn how to focus on a single pursuit. You will actually broaden your reach by narrowing your positioning. Caroline Ceniza-Levine helps people find fulfilling and financially-rewarding career paths, as the co-founder of SixFigureStart®, career coaching by former Fortune 500 recruiters. Caroline has recruited for leading companies in financial services, consulting, media, pharmaceutical/ healthcare, and technology. 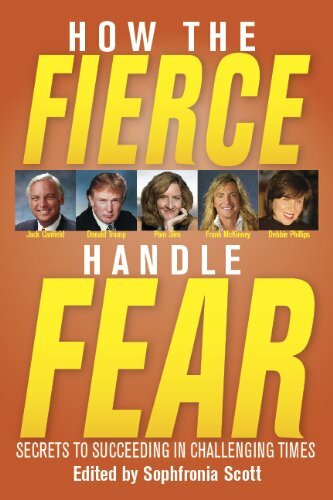 She is the co-author (along with Donald Trump, Jack Canfield and others) of the best-selling “How the Fierce Handle Fear: Secrets to Succeeding in Challenging Times” 2010; Two Harbors Press.